How Far is Salarpuria Sattva Magnificia? Pai Layout, one of the localities which have proximity to Whitefield and Devanahalli. 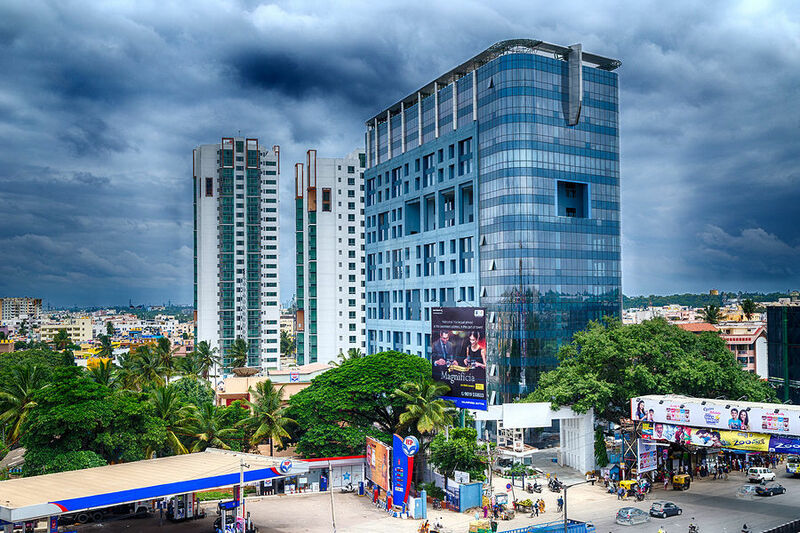 The locality is closer to Baiyapanahalli, Metro Station thus by making transportation easy. Pai Layout also has many local shops which will make your daily needs come closer. Buy a property in Salarpuria Sattva Magnificia which offers a fine selection of 3BHK Apartments in Pai Layout of carpet area sizes ranging from 1813 – 1940 Sq. Ft. and luxuriously built with compact and spacious floor plans built inside 4BHK Duplex Apartments in Mahadevapura with carpet area ranging between 3000 sq. ft. to 3208 Sq. Ft. The project is developed in a BDA Approved layout thus by making it a little more trustable. Salarpuria Sattva Magnificia stands out as a landmark on Old Madras Road. The location is just 5 mins drive from Indiranagar, close to the elevated flyover and the Baiyapanahalli Metro Terminus, enroute to Whitefield and major IT offices and corporate landmarks. It is also connected conveniently to the International Airport through the elevated flyover. It is very close to major super markets, 5-star hotels, golf course and educational institutions. It is 7 km drive to the nerve center of Bangalore - MG Road. A CCTV camera installed in the Lobby/ Security Room /Periphery Vital Points. Reticulated Gas Piping Connection (At extra cost).